Located just 60 miles north of Tampa and 70 miles west of Orlando, Citrus County is the most centrally located out-of-the-way place in Florida. Covering over 584 square miles more than 120,000 residents live, work and play in Citrus County. This west central Florida area is also known as the Nature Coast of Florida. 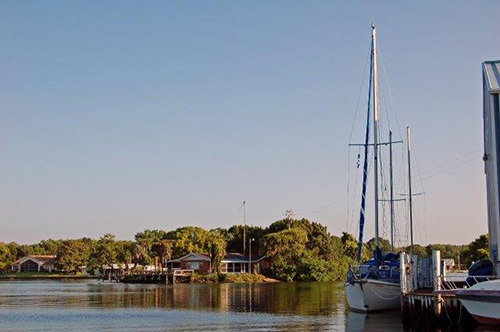 Snuggled up to the Gulf of Mexico on the west and ringed by the sparkling Tsala Apopka chain of lakes and the Withlacoochee River on the north and east, Citrus County is a water lover’s dream. Both water retreats are teaming with fish and adventure. The Withlacoochee State Forest dominates the central county area ensuring Citrus will always have plenty of natural beauty. Canoe one of the many natural spring-fed rivers in the area or just watch the water flow right out of the sand. Explore miles of horseback riding, hiking and biking trails winding throughout the natural beauty of the forest. The summer temperatures averages 82 degrees and the winter temperatures averages 62 degrees. Last year winter was on a Tuesday. Real estate taxes are very reasonable. Resale homes and new construction prices have remained affordable. There is an ample supply of building sites and acreage for new construction. Golf course homes and lots are available in all price ranges and areas of the county. Waterfront properties and waterfront homes are in the greatest demand. The Citrus County real estate market has experienced a steady increase in values over the past few years. The new construction sector has lead the growth providing homes to meet the varied needs of the Citrus County home buyer. Reasonable prices, excellent climate, natural beauty, Central Florida Real Estate does not get any better than this. Citrus County offers golf courses to fit every style of play. Citrus County offers over twelve public golf courses and seven private golf courses. Every golfer will find a golf course to suit their playing style. The premiere private course is Black Diamond located in between Lecanto and Beverly Hills. Black Diamond is a private, nationally rated top 50 course located in the Black Diamond gated community. Many golf and country clubs offer winter residents reduced membership rates and golf cart storage facilities. Play your best or just relax on any of the fantastic golf courses in Citrus County. 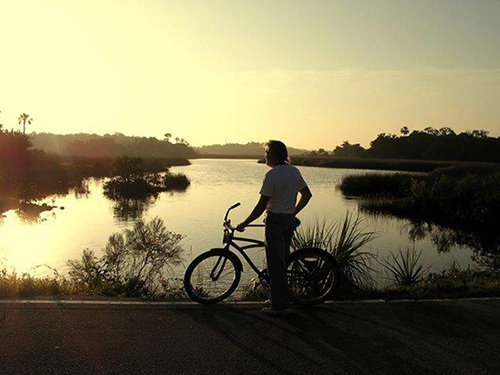 Biking is a wonderful way to see the natural settings in Citrus County. If this is your favorite way to go, you can choose from a cross-country excursion, a meandering scenic day ride or a more primitive off-road track. The rolling hills of the Central Ridge provide the most challenging bike ride for cross-country cyclists. Some favorite cyclist spots are S. Pleasant Grove Road (CR 581), Stagecoach Trail (CR 480) and the internal roadways of housing developments in Citrus Springs, Sugarmill Woods, Pine Ridge, Citrus Hills and Beverly Hills communities. Each offers something different, acres of undeveloped land with already paved roads, challenging hills, and panoramic miles-wide views. For the adventurous in spirit, Mountain biking is available on two Southwest Florida Water Management District tracts: Potts Preserve and Flying Eagle. The trails are unpaved, so primitive biking procedures and precautions should be practiced. A popular walking, jogging and cycling route is the Withlacoochee State Trail. Formerly a railroad right-of-way, the 47-mile trail is paved its entire length through Citrus County. Rental bikes and roller blades are available in the downtown Inverness area. To find out more about Citrus County and Citrus County Real Estate Contact Us today.